It is perhaps a universally known fact that social networks as we know, is about to be reformed. It has been covered here in-depth. A dramatic shift is probably the mildest form in which the coming changes can be defined, as blockchain looks to take over the world. 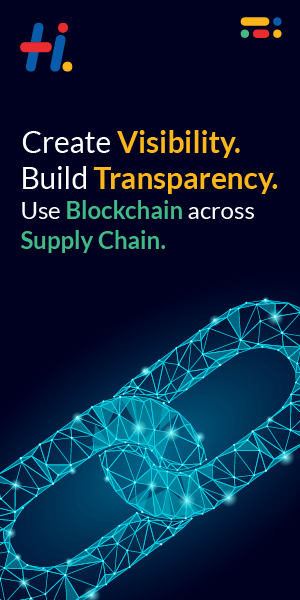 Already disrupting industries and sectors like finance and supply chain management, blockchain is doing today what the internet was doing in the 90s. With over 3 billion active social media users, there is no doubt that a thing as big as social media would certainly be influenced by a technology as disruptive as the blockchain. As is the case with any big change, it won’t happen overnight. It is easy to see why people are wary of blockchain taking over the social media scene, but it would be a felony to say that social media should be left completely out of the blockchain influence. Why should social networks be blockchained? As it stands, social networks are far from perfect, still, they are being used by almost half the world population. To understand how blockchain can influence this sector, let us first discuss the problems with the current social media scene, and what impact do they have on people and the network. What social media does is give content creators their 5 minutes of fame, a million likes, followers and what not. What it doesn’t give, is any monetary benefit. All the gains go straight to the people running these social media platforms, and not the content creators themselves. Even with platforms like YouTube and Twitch which do reward creators, the compensation isn’t enough to justify the effort that some people put into their content. This is a big reason as to why more and more content creators look to switch up their lines of work, except the ones who do it for the love of what they do. Social media platforms usually house data on huge servers that can be hacked by people with malicious intent, if not easily. The thing is, with a single point of operation, it leaves the whole network prone to hacks and breaches, as hackers have to take down only the central node in order to disrupt the whole network. Also, the problem of unauthorized data access is a big one, as proved by the Facebook and Cambridge Analytica scandal. Fake news has been trending more than ever in recent times. Due to the massive influence of social media, word gets around, even if it is fake. People are always on the lookout for spicy stories or gossip and will share the same, even if there exists no proof to back it up. Addressing this issue on the personal level seems difficult due to the current system in place. Using decentralization, blockchain has the power to completely disrupt the social media industry. A classic example would be the huge success that SteemIt has garnered in such a short period of time. Using the features of the blockchain, we will be able to solve many of the problems listed above. For instance, user contribution to the social network would be particularly easy to track using blockchain. They would then be able to be compensated fairly for what they contribute. It would also lead to reduced instances of fake news spreading, because of the nature of blockchain to verify all activities on the network before reflecting any changes. Security is one major thing that the blockchain improves on. Due to the decentralized nature, it becomes extremely difficult for hackers to take down the whole system, as they would need to disrupt every single node in order to disable the network. Being open source is the way to go, and blockchain can certainly help achieve that. Since we accept the fact that blockchain is going to disrupt the social media sector one day or another, it is best that we prepare for it in advance. Here are some trends that are bound to shake up the game, especially when it comes to social media marketing. The ability of blockchain to verify transactions on the network can be applied to verifying identities of people online. Businesses usually want to deal with people having a verified online identity, and blockchain can certainly help do that with smart contracts and other features. As discussed before, fake content will almost vanish, because of blockchain enabled social media. Based on verifiable information and the traceable spread of data, the content distribution will be an interesting area of work for future social media moguls. Similar to the verified identities concept, verified marketplaces can drastically reduce efforts of people finding the right persons to deal with, thereby increasing returns on investment, and bringing trust back into the business sector. While the adoption of blockchain for social media still has a long way to go, working on scalability and user experience is key to making this concept a hit in today’s world. Hope you liked this article on how, why and what blockchain can fix the current social networks, and introduce us to new ones like Steemit and Akasha. Feel free to comment your views and suggestions!